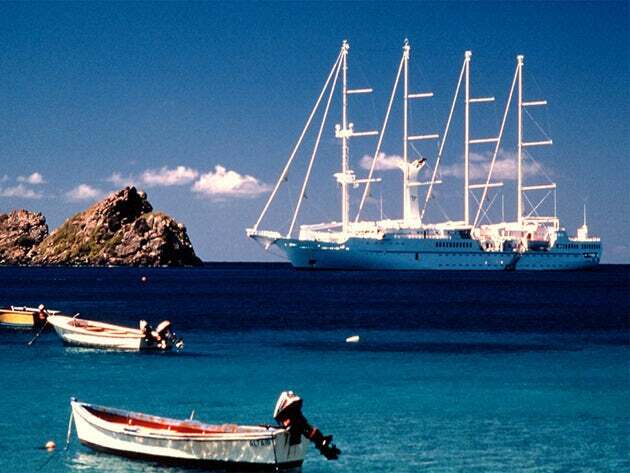 Enjoy the blend of a luxury cruise line and prestigious sailship for a memorable Caribbean cruise. Come aboard any of the three Windstar Ships with beauty and grace as its majestic sails stand tall for an inspiring impression. 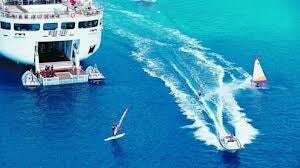 Tour the Caribbean aboard these luxury nautically themed sail ships if you desire unique port stops, excellent cuisine, a romantic ambience, water sports and efficient yet hospitable service. On board you won't find paper-plates-in-lap, barefoot guests on a big ship, instead you meet sophisticated yet down-to-earth travellers relaxing on these sail cruises. 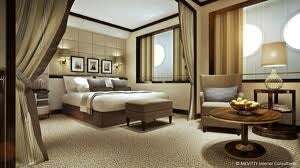 Windstar Sail Cruises offers spacious staterooms and suites with detailed brass decor, luxurious queen size bed, fully stocked mini bar and bathrooms with stained teak floors, L’Occitane Bath Amenities and granite sinks. Each room has view of the simmering ocean outside your windows. 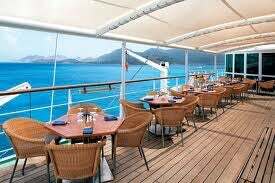 Aboard Windstar, you can feast on delectable meals from Sail Away -- the Yacht Deck Barbeque- where you can enjoy love music and grilled lobster and other delectable treats. There are also non-alcoholic beverages, including espresso, cappuccino, and other specialty non-alcoholic drinks for your choosing. There's no time for boredom when vacationing on Windstar with diverse activities such as casino gaming lessons, and stretch classes on deck; plus with an emphasis on water sports, you can enjoy kayaking, water-skiing and windsurfing. Curl up with a book at numerous quiet spots or relax in the hot tubs or WindSpa. Scuba Dive along the reefs of the Caribbean with certified instructors for an adventurous experience with stunning marine life. Sail along white sandy beaches and scenic hillsides of Caribbean islands such as St. Lucia or St. Vincent & The Grenadines; or explore the Copper Mine standing guard in Virgin Gorda. You can also indulge your taste buds with beach barbeques or relax on St. Kitt’s Shipwreck Beach. These memorable port stops and more, will leave you wanting to explore the Caribbean aboard these luxury cruises. 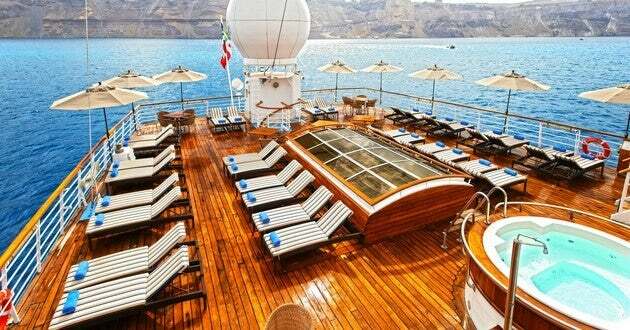 Choose Windstar for next Caribbean cruise experience. It will seem as if you are aboard your private luxury yacht. Book your Caribbean Luxury Cruise today!